There was a hum of excitement. Flags flickered in the breeze as Maggie’s heart danced with delight. ‘This is a very special day!’ her mother said. Maggie holds tight to her mother as they await the long anticipated apology to show a willingness to reconcile the past for future generations. In the excitement of the crowd Maggie loses touch of her mother’s hand as is lost. In a time ‘long ago and not so long ago’ children were taken from their parents, their ‘sorrow echoing across the land’. As the Prime Minister’s speech unfolds Maggie is reunited with her mother. But the faces and memories of the stolen generation are all around them. 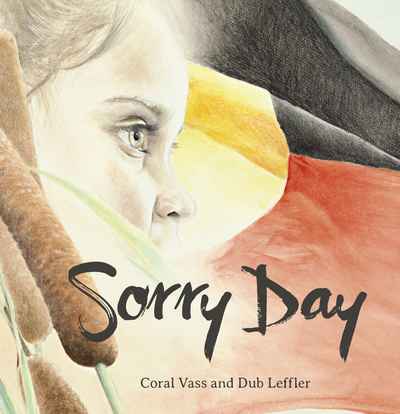 Two stories entwine in this captivating retelling of the momentous day when the then Prime Minister of Australia, Kevin Rudd, acknowledged the sorrows of past and said ‘Sorry’ to the generation of children who were taken from their homes. The book includes a foreword from Lee Joachim; Chair of Rumbalara Aboriginal Cooperative and Director of Research and Development for Yorta Yorta Nation Aboriginal Corporation.